it grew hair so much on this dustpan. Maybe because it was set in moist. and legs either, doesn't it? What a dumb chiri-bird, it is! 7 days after the New Year was called Matsu-no-uchi (within the pine decoration) where no cleaning took place in Edo. 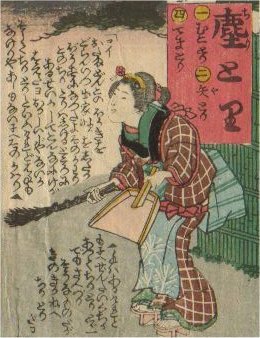 It was because people do not want to sweep out the New Year's luck with a broom. With the same reason, people didn't cut nails of hands and feets.